Protecting your most important assets is an important step in creating a solid personal financial plan. The right insurance policies will go a long way towards helping you safeguard your earning power, your possessions and your loved ones. Adequate insurance coverage not only protects, but it also creates the incentive for you to save your way in fulfilling your financial dreams. Retirement years are called the golden years of one’s life. The idea of leaving the workforce and travelling the world or spending more time with your family might sound like heaven-on-earth, but there is a lot to prepare for financially. Preparing for a happy and peaceful retirement is a lifelong process. After all the hectic years of earning to fulfill the needs of your family and yourself, retirement should be the time when you can finally settle down and enjoy the fruits of your labour. However, your dream retirement is only feasible if you have been smart during the working years. A retirement annuity provides you with a stream of income during your retirement years. Generally, a retiree needs at least 60% of their last drawn salary to maintain their standard of living pre-retirement. The key to planning for your retirement through an annuity plan is to buy the plan that best suits your needs. It is advisable to start saving as early as possible during your working years to build enough funds to provide you with a worthwhile income when you retire. The cost of higher education is increasing each year. Parents may find this cost a strain on their finances. That is why it is important to start planning for your child’s education as early as possible. The earlier you begin, the more time you will have to allow your money to grow. 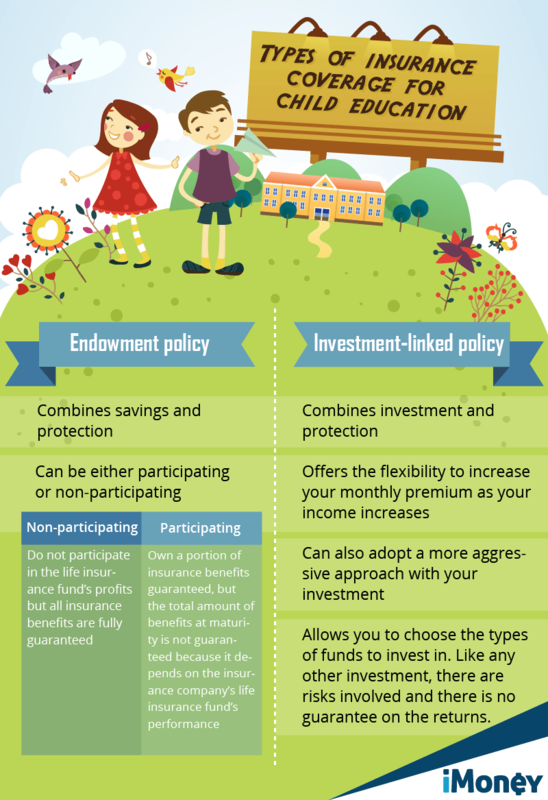 The child education policy is a part of the life insurance product, but specially designed as a savings tool to provide an amount of money to pay for your child’s higher education expenses, when the time comes. The best option would be to opt for a payor benefit rider. The education policy will also provide assurance that, in the event of your untimely demise, the child will have access to the funds to help finance his or her studies. Working through these factors will help you figure out the expected costs. 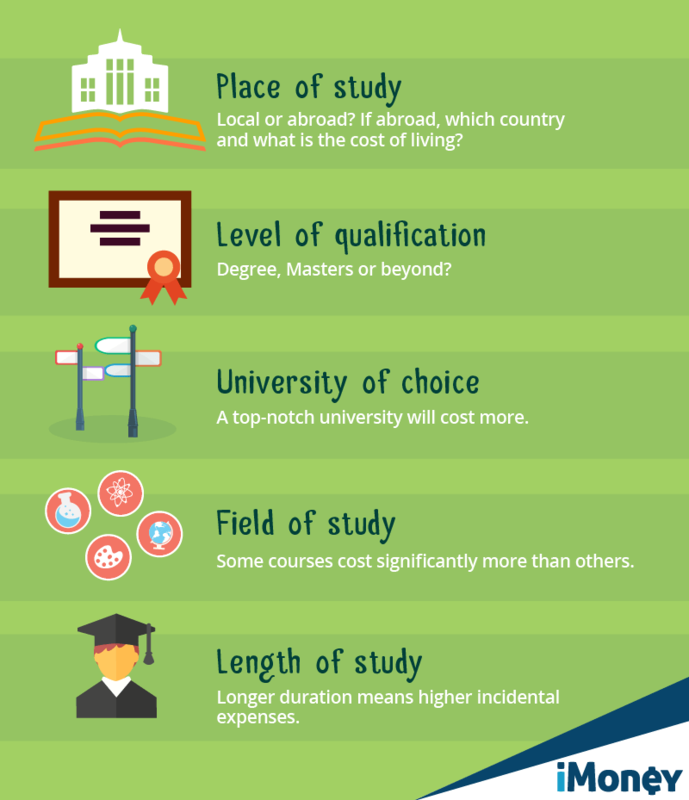 Since the education costs will be incurred in the future, you need to factor in inflation. Once you have included inflation, you may end up with an amount you know you can’t afford. However, by wisely putting your money to work, the returns can be accumulated over the years to help cover the costs. The policy you purchase depends on your objectives and your risk tolerance. Before you buy a policy, ensure that it is based on your needs and financial capacity. Education policies sometimes offer the ability to add insurance coverage like medical insurance or critical illness coverage. Be careful about adding too much insurance coverage as the costs will affect your savings. Invest in your child’s education, and that will go a long way in enabling them to have a bright future and be successful in whatever they venture into. Insurance policies come in a wide variety of coverage and boast many different features, benefits and prices. Make sure the policies that you purchase are adequate for your needs. Shop diligently, read the fine prints and talk to the agent to be certain that you understand the coverage, cost and terms and conditions.